Everyone wants ‘better’ things—better homes, better schools, and better quality of life—but defining what exactly constitutes an improvement is not always easy. The grass is not always greener on the other side of the fence, so attempts at making something better may not always yield the desired results. 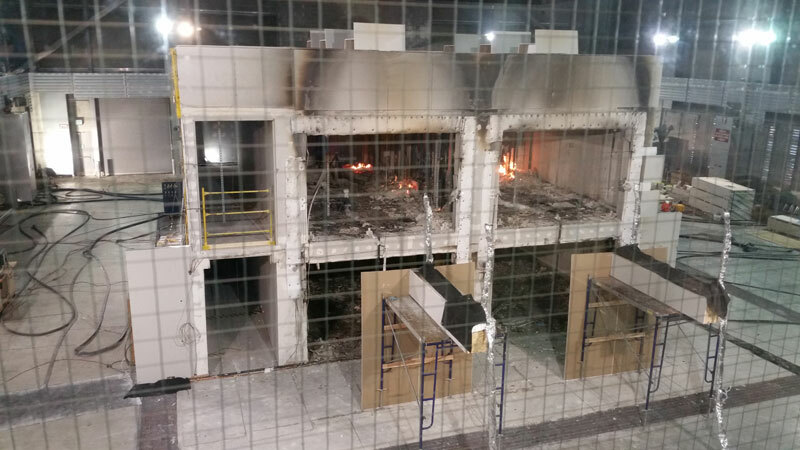 Fire tests focusing on cross-laminated timber (CLT) and sprinkler systems in a mass timber structure have yielded encouraging results. 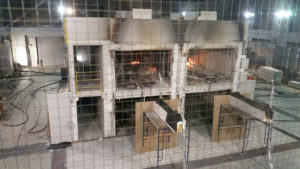 Five fire tests conducted by the U.S. International Code Council (ICC) Ad-hoc Committee on Tall Wood Buildings at the U.S. Bureau of Alcohol, Tobacco, Firearms, and Explosives Fire Research Laboratory have met with positive results. Funded by American Wood Council (AWC) and U.S. Forest Service Forest Products Laboratory (FPL), the scenarios focused on exposed and unexposed cross-laminated timber (CLT) and sprinkler systems, and were tested in one-bedroom apartments within a full-scale mass timber structure. In each case, the door between bedroom and living area was left open. The first of the five tests focused on a mass timber structure protected with gypsum wallboard. It was tested with a large furnishings and contents fire, which was terminated after three hours and caused no significant charring on the protected wood surfaces. In the second test, 30 per cent of the CLT ceiling in each room was left exposed. Four hours, rather than three, were allotted for this test, to clarify whether the exposure would add to the fire. On the contrary, charring on the exposed CLT’s surface formed a protective layer that caused it to self-extinguish even after consumption of furnishings and contents. Similar results were obtained in the third test, which featured parallel exposed CLT walls (one in each room). Again, the protective char surface formed, and the mass timber areas self-extinguished. The fourth and fifth tests focused on sprinklers, and allowed all mass timber surfaces to remain exposed. The fourth test relied on normal operating conditions, and determined a single sprinkler could adeptly combat a fire. In the fifth, 23 minutes were allotted before sprinklers were activated and after the fire began. However, the results were the same—the sprinklers easily controlled the fire. A General Technical Report (FPL-GTR-247) on the tests will become available from FPL later this year. “Introducing Brock Commons: Looking Up to the World’s Tallest Contemporary Wood Building,” by John Metras, Ralph Austin, and Karla Fraser.